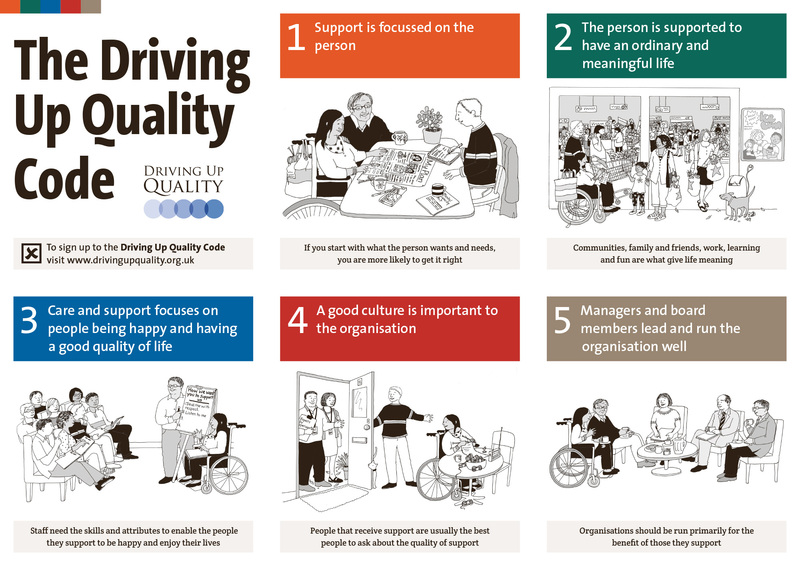 On this page you will find the Driving Up Quality Code poster. It is divided into 2 sides - side one, the booklet, has 6 panels of text and side two, the poster. Below is a press-ready version of both sides of the poster. It has non-printing folding guides and is designed for a concertina fold . If you want a single sided poster please just print page 1.